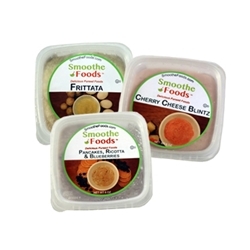 Smoothe Foods Frozen Purees offers variety to you and your loved ones. 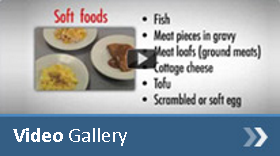 A varied meal plan allows for better eating. Spinach Lasagna. Frittata. Mac & Cheese. Shells, Peas & Mushrooms. Three Bean Chili. Pancakes with Ricotta & Blueberries. Cherry Cheese Blintz. Power Bowl. To order, add the number of each item you would like in the spaces below. Make sure it adds to 12 and then click on Add to Cart.